(Los Angeles, CA)—Multi-platinum global superstar Khalid’s single “Young Dumb & Broke” is officially certified 3x Platinum by the RIAA. 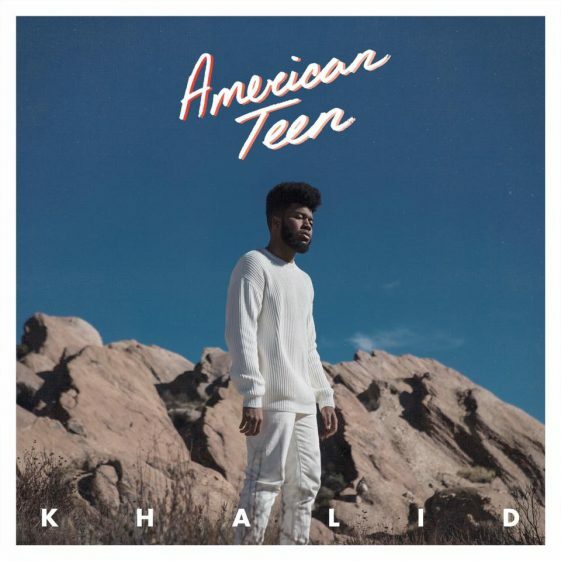 Tomorrow also marks the one year anniversary of his platinum-selling debut album, American Teen. Since its release, the album has received mass critical acclaim with praise from The New York Times, TIME Magazine, Billboard, NYLON, and many more. Billboard stated about the album, “…effortlessly excellent…the kid is still so young, but this body of work is beyond his years” and Rolling Stone called Khalid a “pop prodigy”. Khalid has sold 1.4 million albums to date. American Teen stayed in the Top 200 for 51 weeks and peaked at #4. The album also stayed in the Top 20 for 48 out of the 51 weeks it was in the Top 200. The singer-songwriter has over one billion streams worldwide across all partners and he garnered five 2018 Grammy® nominations including Best New Artist. His first single “Location” is also certified 4x Platinum by the RIAA. Additionally since the album’s debut, Khalid performed at SXSW where he won MTV’s Woodie To Watch Award. In the summer, Khalid was the face of Forever 21’s Summer Digital Campaign, #F21xMusic, Men’s Line, and was named MTV Push: Artist to Watch for the month of July. He was nominated for a 2017 BET Award for Best New Artist, a Teen Choice Award for Choice R&B/Hip-Hop Song for “Location”, and a 2017 American Music Award for Favorite Song-Soul/R&B for “Location” where he also performed a show stopping mash-up of “Young Dumb & Broke” and “Thunder” with Imagine Dragons. Khalid also won Best New Artist at the MTV Video Music Awards and landed on the cover of Billboard’s 2018 Grammy® Preview issue. Most recently, Khalid has been nominated for a 2018 Nickelodeon Kids Choice Award for Favorite Breakout Artist. Outside American Teen, Khalid’s presence has dominated airwaves having collaborated with some of music’s biggest stars. He has been featured on a number of songs including mega hits like Calvin Harris’s “Rollin” with Future, “1-800-273-8255” with Logic and Alessia Cara, “Silence” with Marshmello, and the latest, “Love Lies”, a duet with Normani. “The Roxy Tour, which will be making a number of stops in major cities including Los Angeles, Atlanta, and Philadelphia. Tickets for “The Roxy Tour” are on sale now and can be purchased here. See full list of tour dates below.